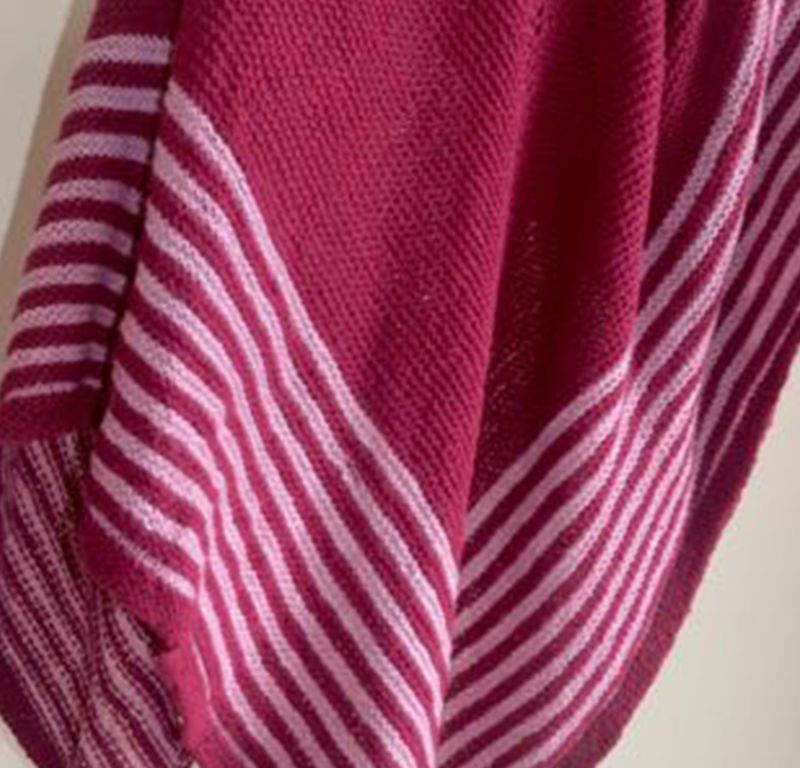 Just five luminous pink stripes edge a magenta triangular shawl….and a perfect piece of knitting is ready. 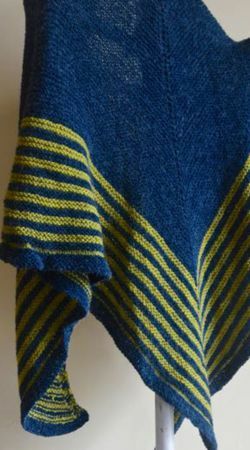 Drape the shawl and savour the contour effect of the stripes. 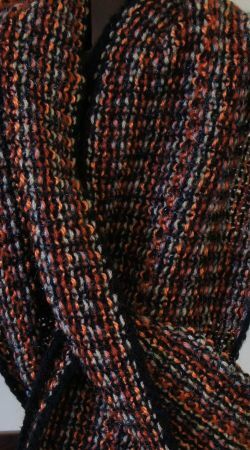 Hand knitted in smart garter stitch, the shawl will be warm, easy to maintain, and quick to pull compliments in your direction. 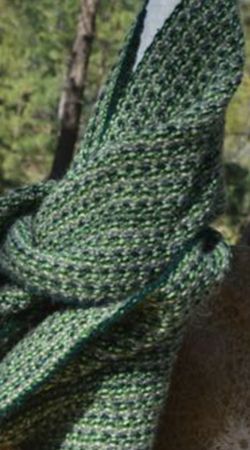 Drape it over your shoulders, twist and knot it around your neck, cover your head, hang it artfully over an arm…this can be worn in a zillion ways, for cosy comfort or for attractive appeal. 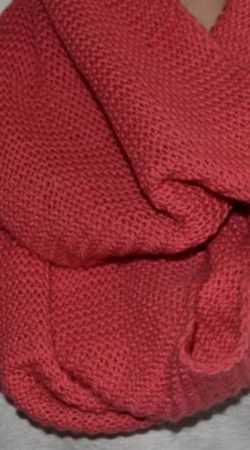 Knitted in a super soft angora acrylic blend, this classic piece of knitting is a must-have for winter.